ENFJs are known for their empathy, compassion, and vision. They can be excellent peacemakers and inspirational leaders. But what happens when fights break out or arguments erupt? 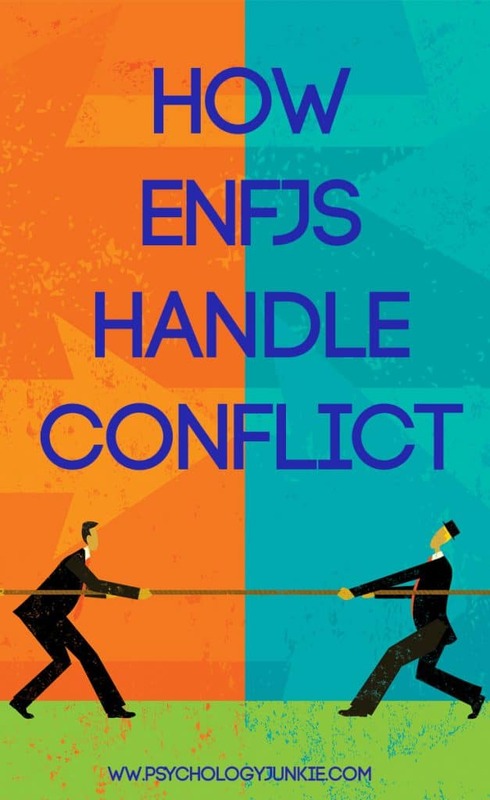 Conflict is anathema to ENFJs and while they can be excellent at resolving it quickly, they can also struggle with having their needs met and their issues heard fully. ENFJs experience greater stress in conflict situations than many other types because of their ability to “absorb” the emotions of people around them. This ability to absorb outward emotions is a product of their dominant function, Extraverted Feeling (Fe). This tendency can make it difficult for them to differentiate their feelings from the feelings of others and they may try to smooth things over too quickly during a conflict. It can be hard for them to maintain a clear vision of their own needs during an argument where there is a lot of commotion and tumultuous emotions. The influx of all the external emotions can cloud their own view and their own needs. What Causes Conflict for the ENFJ? ENFJs experience the most conflict when they are unappreciated, ignored, or one of their values is abused. They also dislike seeing other people in pain or misunderstood. They are very giving and generous in their relationships and generally don’t like to ask for things they want or need, hoping instead that someone will realize these things on their own. As a result, they can be taken advantage of by people who aren’t aware of their needs and are happy to experience the ENFJs generosity without giving anything in return. According to the MBTI® Manual, ENFJs have a “collaborating” conflict style. Initially they may feel surprised, misunderstood, or depressed during conflict. They may even try to ignore the conflict for as long as possible until one of their deeply-held values is violated in some way. When they try to address the conflict, they will want to find a people-centered solution where harmony is maintained. They may become increasingly emotional during conflict as they try to manage their feelings and the feelings of others involved. They tend to take things personally and can struggle with seeing problems objectively and logically in the midst of the chaos. ENFJs tend to try to hurry to resolve conflict, and when they do this they run the risk of reaching a conclusion too soon. They tend to regret resolving conflict too quickly later, when they realize their own disagreements were ignored or not resolved properly. They have a hard time being direct during conflict and may “skirt around” the issues as they try to find a way to resolve it without hurting anyone’s feelings. They don’t like to criticize people and can get tongue-tied trying to express their needs without offending or hurting anyone’s feelings. Their biggest goal is that at the end of the conflict every relationship will be returned to a state of well-being. Don’t rush to smooth things over. Take your time to ensure your questions are being answered and your struggles are being addressed. Don’t be afraid to say exactly what’s on your mind. You have a gift for phrasing things kindly, but that can cause other people to misunderstand what is truly bothering you. Try to maintain your kindness, but also be clear about what you need. In conflict situations with Sensing types, try to use details and/or facts to explain what you’re going through. Try to explain what happened in order, instead of bouncing from one part of the problem to another. 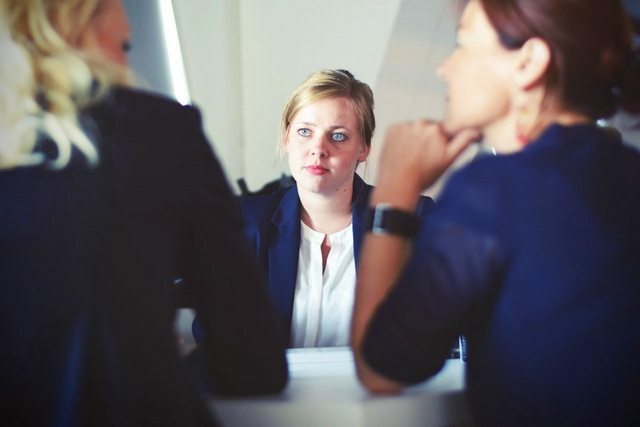 In conflict situations with Thinking types, try to be as clear and direct as possible. They will get frustrated if you “beat around the bush”. Take care of your own needs. If you need to get away to clear your head or organize your thoughts, do it! Make time for yourself and don’t be afraid to stick up for your needs! You are a very giving personality type and this can cause you to burn out if you continually give without taking time to meet your own needs. Do you like this post? Then you’ll love these!